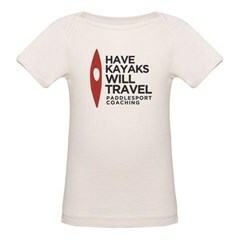 Home » Blog » Yes, you can buy Have Kayaks, Will Travel swag! 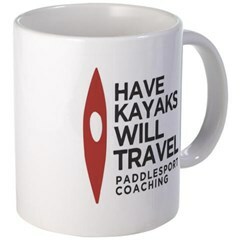 Yes, you can buy Have Kayaks, Will Travel swag! We’re excited to announce the grand opening of our Cafe Press store! We’ve got eco-friendly t-shirts (100% organic cotton), mugs, totes, stainless steel water bottles and miscellaneous other items, all featuring our logo by brilliant designer Flo Kat. Cafe Press offers a 30-day money-back guarantee on all purchases. Most items ship within 24 hours. 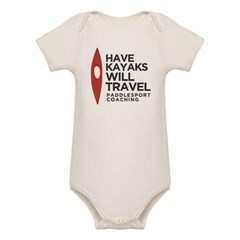 Looking for a baby gift for a future paddler? Or a thermos for an old one? First, congratulations ! Cool stuff… making out my Christmas wish list now. but a few things can’t wait. A logo I will gladly and proudly display.